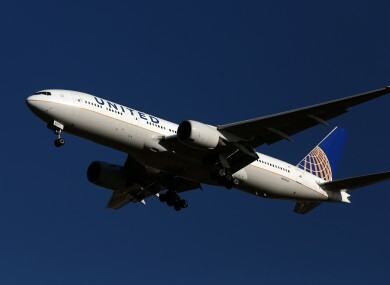 SIXTEEN PEOPLE WERE taken to hospital early this morning after a United Airlines flight had to make an emergency landing at Shannon Airport. Shannon Airport confirmed that United Airlines flight UA-880 from Houston to Heathrow diverted to Shannon Airport “with a medical situation” and landed early this morning at 5.55am. HSE ambulances were waiting at the airport to meet the flight. A spokesperson for Shannon said that passengers and crew were treated at the airport. Following this, 14 passengers and two flight crew were taken to University Hospital Limerick for further treatment. United Airlines said in a statement that they were providing care for customers and crew of the flight. A spokesperson said that flight had “experienced severe and unexpected turbulence” on its trip from Houston to Heathrow. “The aircraft diverted to Shannon Airport in Ireland where it was met by medical personnel,” the spokesperson said. We wish these passengers and crew a quick recovery from their injuries. There were 220 people on the flight in total, including 207 passengers, three cockpit crew and 10 flight attendants. Email “16 people taken to hospital after flight makes emergency landing at Shannon Airport”. Feedback on “16 people taken to hospital after flight makes emergency landing at Shannon Airport”.